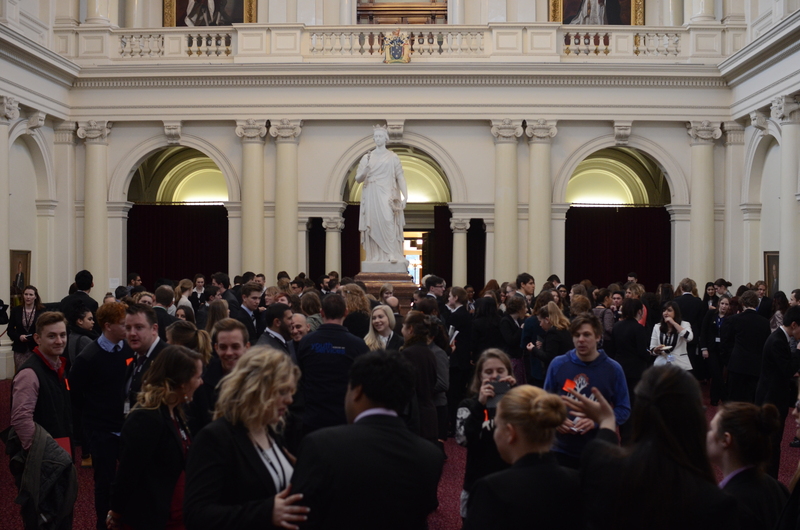 The following is a copy of the live feed blog from day one, 30 June, of the 2014 YMCA Victorian Youth Parliament written by the Youth Parliament Press Gallery. 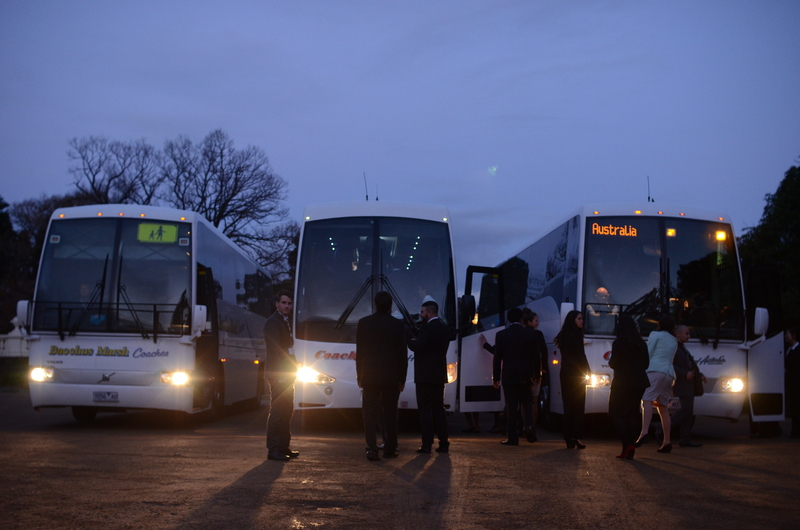 The day is over and the Youth Parliament members file back onto the buses waiting at Governor’s House to head back to camp. Whilst the Press Gallery has to walk out the front gate. 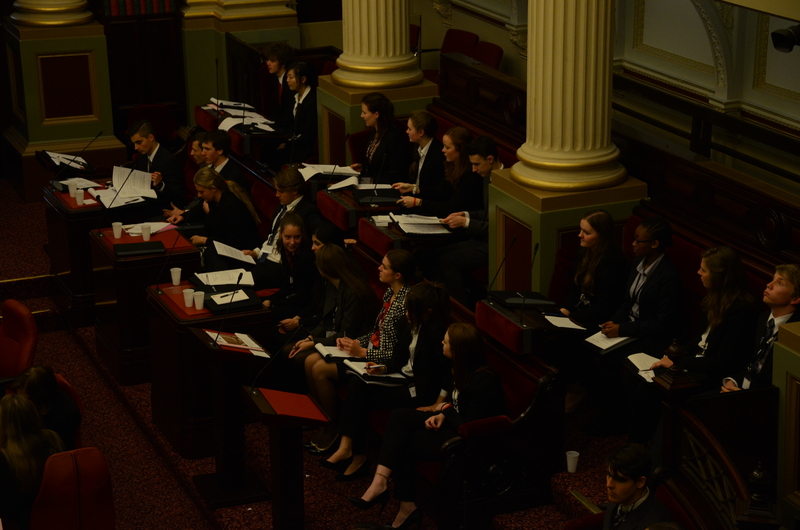 In the Legislative Assembly, the Bill to introduce life skills education in high school was debated, and it passed. Callum O’Connor recently profiled the Overnewton team arguing for the Bill. 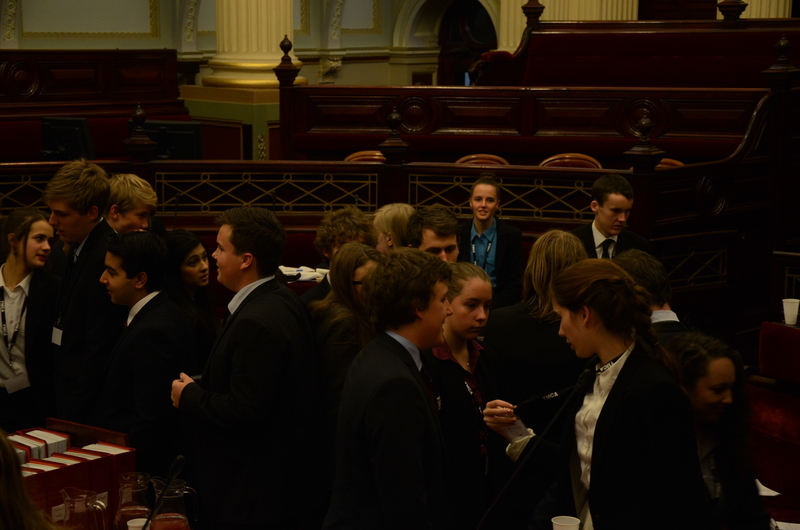 Division called in the Legislative Assembly. In the Legislative Council, the Bill to have students learn Mandarin, Hindi, Indonesian or Japanese also passed: 33 for, 27 against. 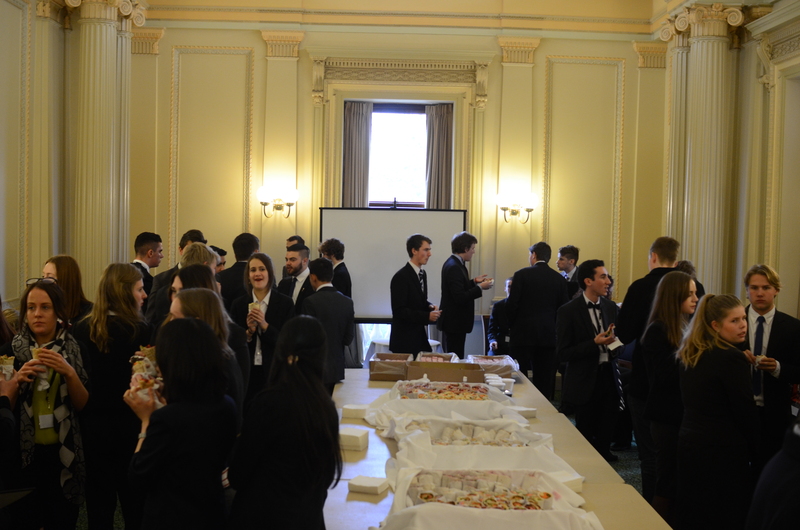 Both of these Bills will be passed onto the relevant state government MPs, and of course, the YP Press Gallery will keep you updated. 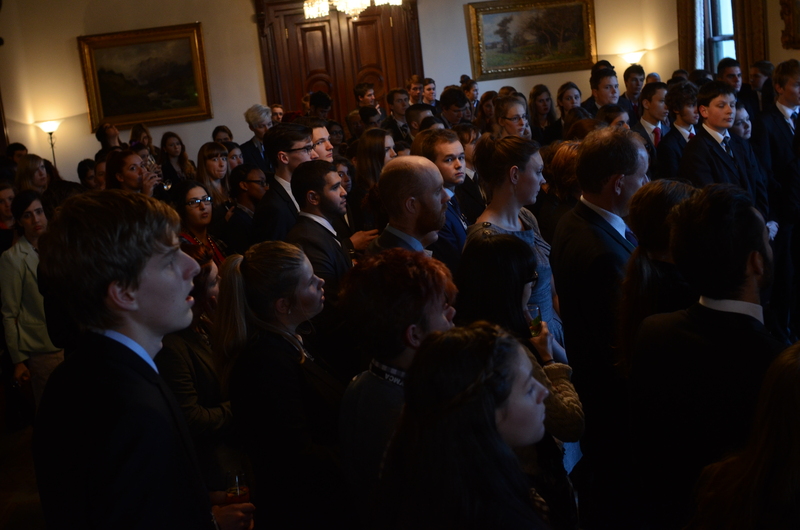 The Youth Parliament then retired to Governor’s House to listen to the Hon. 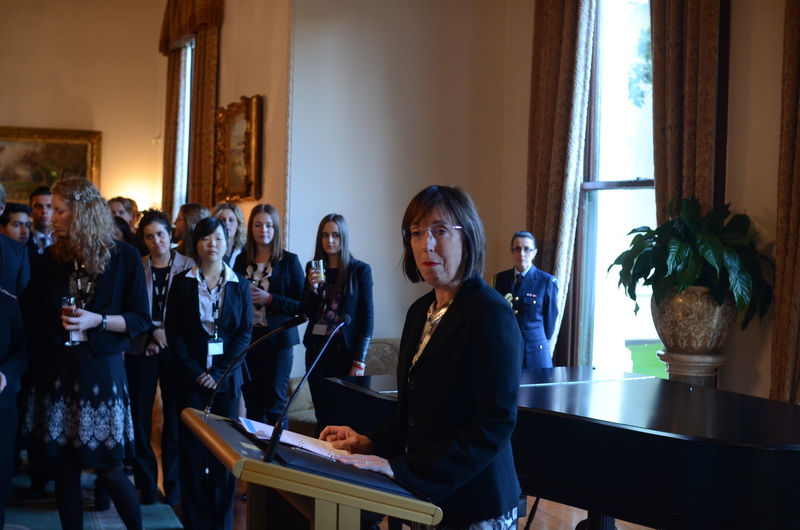 Lieutenant-Governor of Victoria, Marrilyn Warren (AC) speak. Our photographer, Finbar O’Mallon, snapped a few before joining the festivities (and a big thanks to the lovely staff and caterers at Governor’s House). 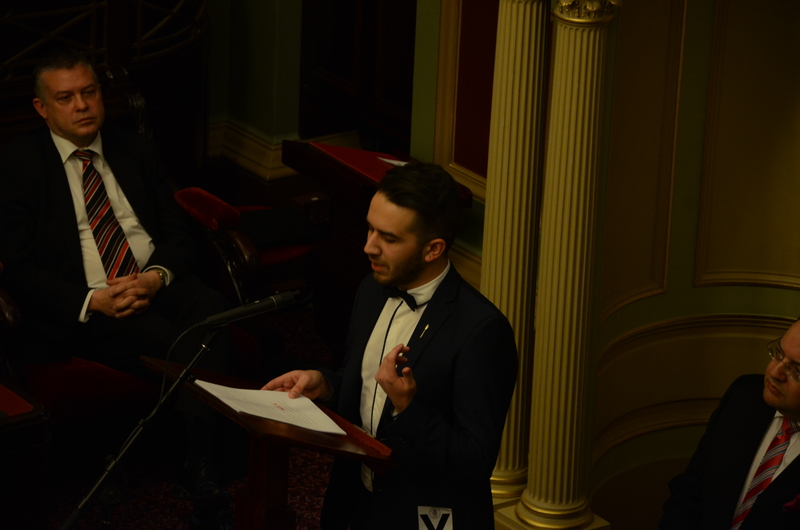 From L – R: Youth Premier, Oussama Abou-Zeid; Hon. 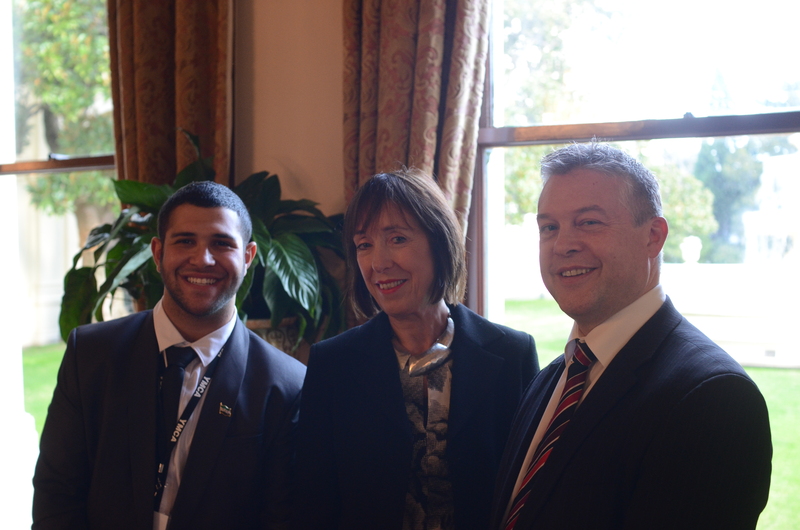 Lieutenant-Governor, Marilyn Warren AC, QC; Minister for Youth Affairs, Ryan Smith. A very big first day. Tomorrow, first then, the Bills for The Reduction for Incidence of Cruelty to Animals and the Bill for tighter regulation of the labeling of organic products. Be sure to keep an eye on our Twitter feed as we live tweet the debates in both Chambers. See you in the morning. A call for division in the Council had the opposition and government switch sides. “This is going to be a cattle call,” said the Speaker. 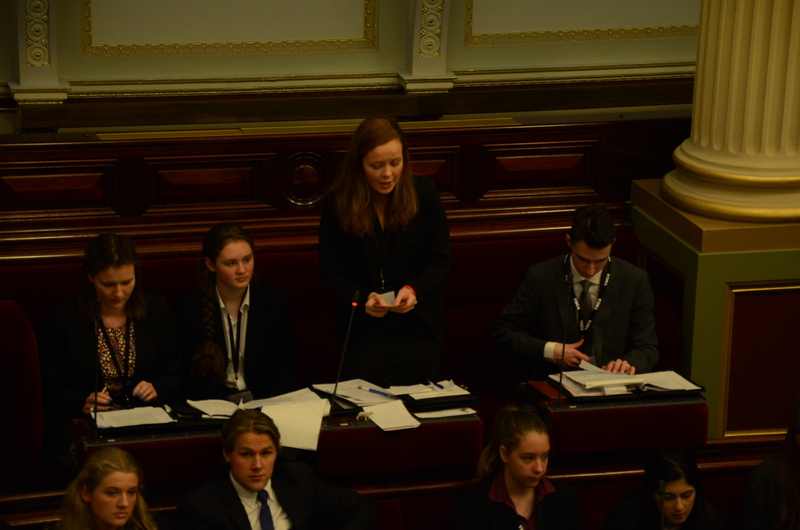 Bonny Borrows has wrapped up the MPI debates earlier in the day. 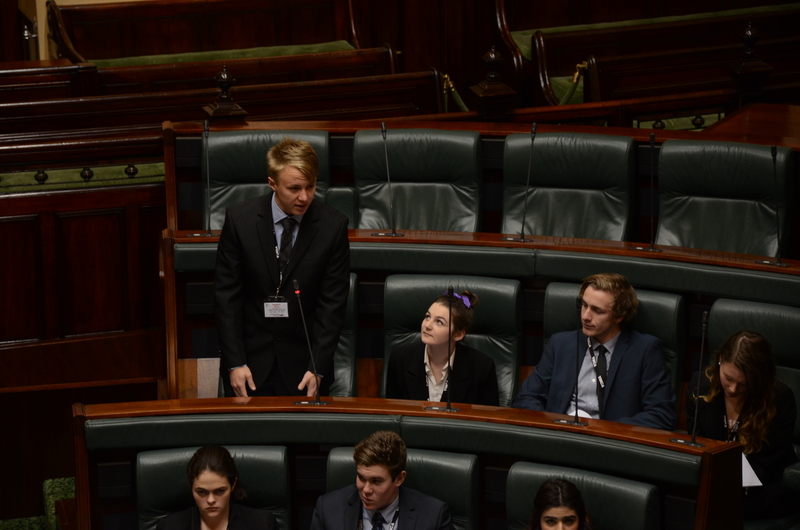 All quiet on the Opposition front in the Legislative Council before debates resumed, they were throwing paper planes a moment before. “While parents are responsible for their own children, there are no real basis or rule for them to teach you these skills. These parents who work long days may lack these skills as well. Why should these children miss out on these basic life skills that parents may neglect to teach them, or not know themselves”. 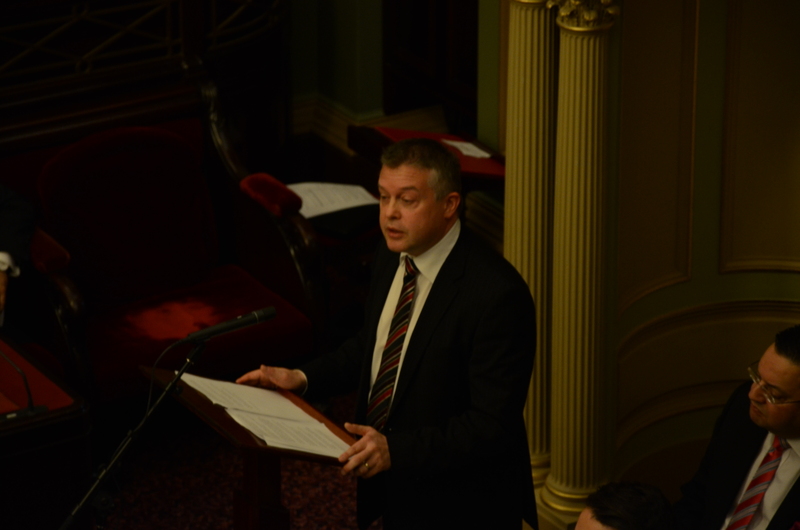 “This bill will supplement parenting, it is not an alternative…. Very interesting results in for the free education Bill. The Legislative Assembly votes 52 for, 13 against. In the Legislative Council, 45 against, 11 for. Basically, the Assembly and the Council produced two exactly opposite results. Hon. Mr Nash against the free higher education Bill. Things are heating up in the Chamber! The Hon. Laurel Fry McBean sits back down after her heated comment. 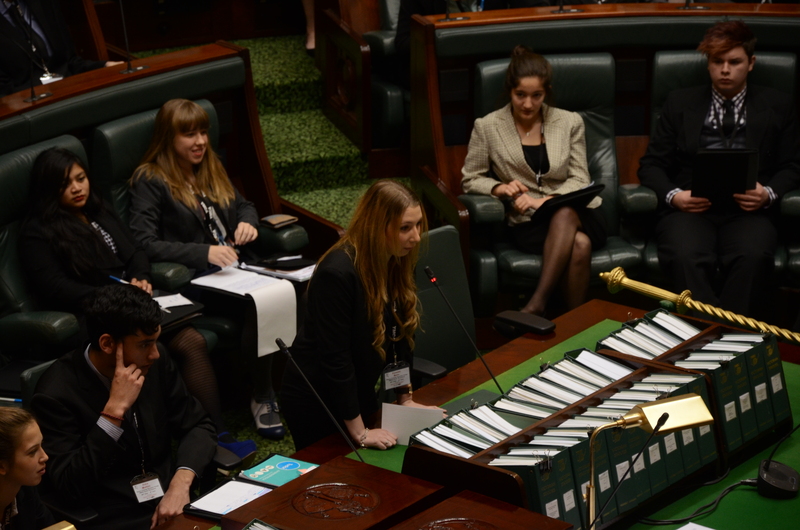 Rebecca Brooks, from the Youth Parliament Taskforce told Yuzuha Oka she’s looking forward to the adjournment debate the most. “I had a sneak peek and it was great. 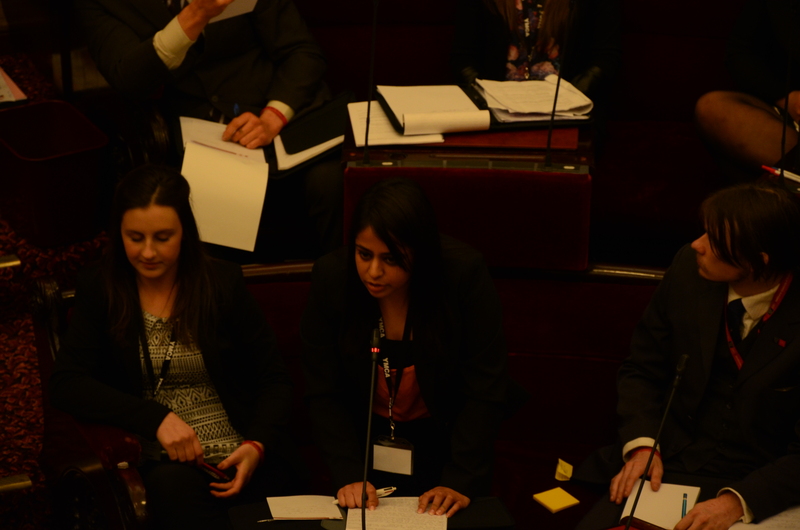 MPI discussion in the Legislative Council, debating against the Bill for free education. Yuzuha Oka spoke to Cameron Moir, from the Kilmore team. “As one of the first teams to present a Bill in Parliament, we want to set a good example that others can follow,” he said. Their Bill calls for mandatory Asian language education from prep to Year 10. Moir studies Chinese himself. “People looked surprised and pleased when I bumped into Chinese and apologized in their language.” Their Bill will be discussed this afternoon from 1:45pm. Moir said the key to success would be “to know what you are saying and listen well to others”. 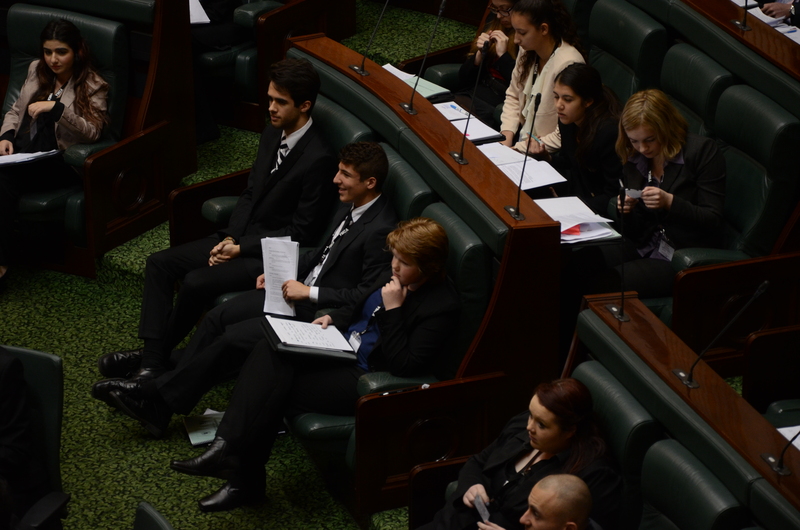 “Hear, Hear!” echoes around the chamber as Youth Premier, Oussama Abou-Zeid voices his opinion in regards to the MPI. 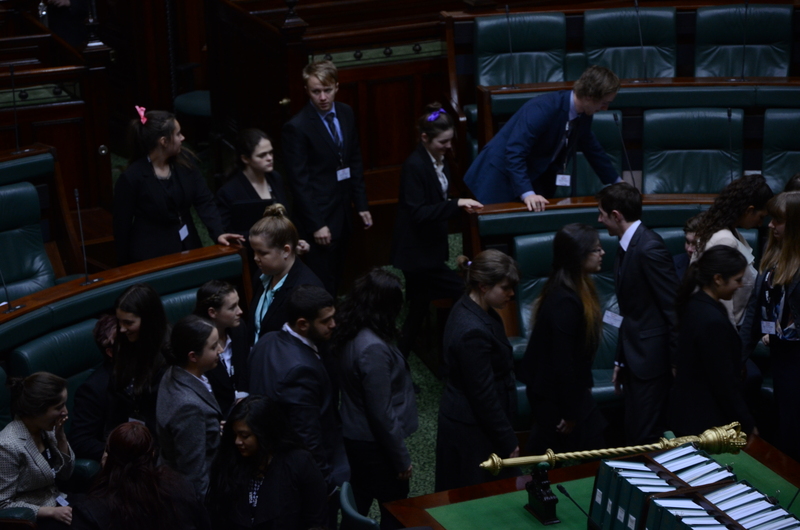 Team Members from Hobsons Bay, Pascoe Vale, Overnewton, AIME, Phoenix, Hoppers Crossing, KGI, Gannawarra and Highview give thanks during the Matter of Public Importance, in the chamber. 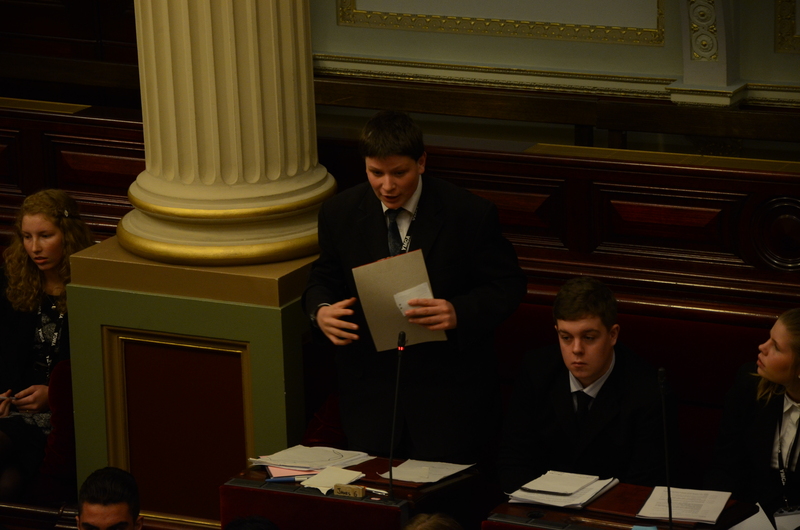 Bonny Burrows and Ryan Tennison report on the opening of Youth Parliament. Youth Governor addressing the chamber. 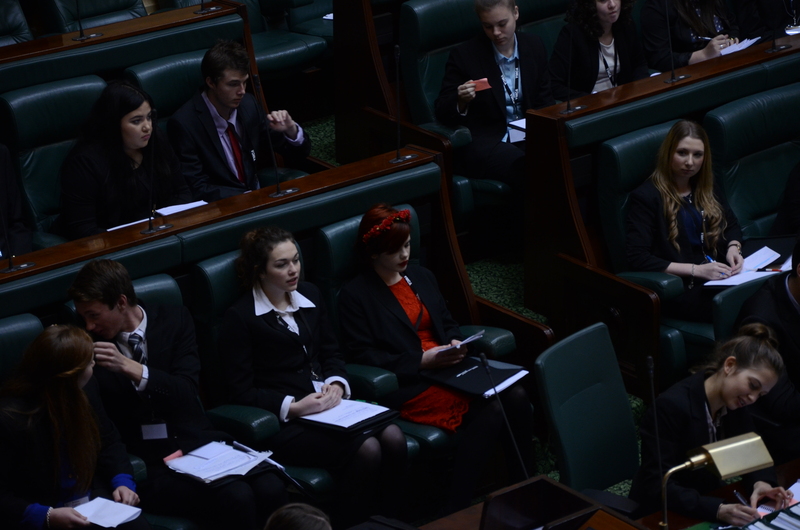 Youth Parliament 2014 has begun! Stay tuned for updates throughout the day. 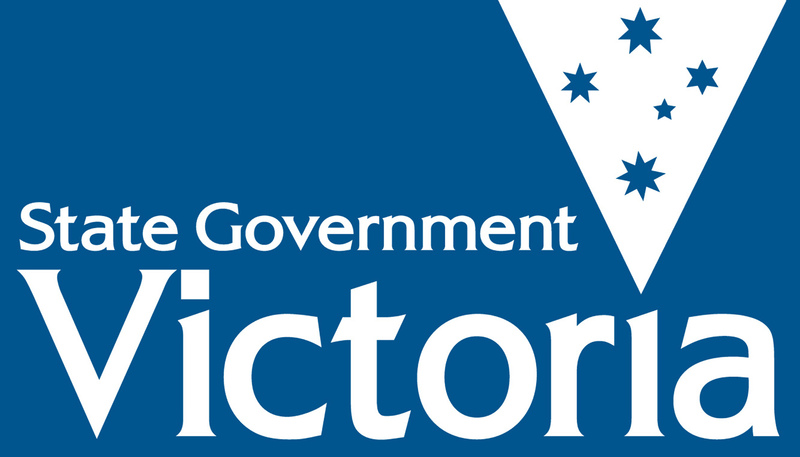 Posted on July 1, 2014 July 3, 2014 by vicpressgalleryPosted in 2016Tagged Education, Government, Spring st, Victoria, YMCA Victoria, YMCA Youth Parliament, Youth, Youth Press Gallery, Youth Voice.